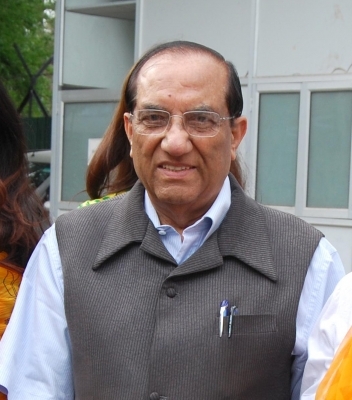 New Delhi Sep 14 (IANS) All India Council of Sports (AICS) President and veteran politician Vijay Kumar Malhotra on Friday urged the states to formulate a uniform award scheme to do away with the glaring disparity in cash awards. In a letter to the Chief Ministers of concerned states Malhotra pointed out the cash award disparity after the Asian Games in which India bagged a record medal haul of 69 medals -- 15 gold 24 silver and 30 bronze. "While one state government is rewarding its gold medal winners with Rs 3 crore each the neighbouring state is offering merely Rs 26 lakh for each gold medal " Malhotra s letter read. Malhotra also pointed out that the disparity becomes deep when one state government announces mere Rs 10 lakh and a government job to India s first-ever heptathlon champion in the Asian Games while its neighbouring state announced a cash award of Rs 3 crore for its sprinter i.e. Rs 1.50 crore for each silver medal she won in the Asian Games. He further mentioned in his letter that an athlete -- no matter whether from Delhi Uttar Pradesh Maharashtra or Haryana -- has to attain the same level of excellence to be the Asian Champion. However when it comes to recognition and rewards for these athletes there is a distinct disparity from state to state within the country. "The athletes who train stay and gel together are eventually separated by their respective state sports policies. When it comes to rewarding the athletes for their hard work and spectacular performance disparity leaves some of the achievers disappointed " it read.